The number of former government workers imprisoned reached 2,053 in 2010, the year President Aquino assumed the presidency, up from just 38 in 2009, the last full year of the Arroyo presidency, according to new figures from the National Statistical Coordination Board (NSCB). 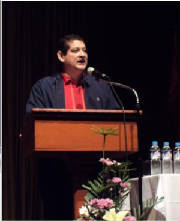 NCSB secretary-general Dr. Romulo Virola said these erring government officials and employees are serving sentences for malfeasance, bribery, fraud, malversation of public funds or property, infidelity, and other offenses like usurpation of powers, unlawful appointments, and abuses against chastity... Jails nationwide housed 59,289 inmates as of end-2010. Meanwhile, convicts in national penitentiaries reached 35,937, according to the NSCB...NCSB secretary-general Dr. Romulo Virola said, "Noticeable were the huge increases in the number of prisoners convicted of crimes committed by public officers from 38 in 2009 to 2,053 in 2010"... Citing the amount of taxpayers money used to operate prisons and jails and detain inmates and rehabilitate those convicted of crimes, Virola said "the government is paying a high price for the very slow judicial processes in the country." PRESIDENT TO VISIT USA SEPT. 18 - 23: The visit aims to enhance the country's strategic profile by underscoring the Aquino government's demonstrated commitment to its good governance and anti-corruption agenda, and to increase awareness about the government's domestic and foreign policy thrusts...President Aquino was invited to the official launch of the Open Government Partnership (OGP) in New York on September 20. The OGP is a new multilateral initiative to promote transparency, empower citizens, fight corruption, and harness new technologies to strengthen governance...The selection of the Philippines as a Steering Committee member is an international acknowledgement of the Aquino administration's demonstrated commitment to and innovative practices in open governance and anti-corruption. President Aquino will also deliver the keynote remarks at an OGP-related forum titled "The Power of Open: A Global Discussion." He is the only head of state invited to address the opening ceremony of this all-day multistakeholder, ministerial-level conversation focused on the role of openness in improving responsiveness, fostering accountability, creating efficiency, fighting corruption, and similar themes...World Bank Group President Robert B. Zoellick invited the President to deliver a public lecture during the IMF-World Bank Annual Meetings in Washington, D.C. President Aquino's lecture will center on the theme of citizen empowerment, good governance and fighting corruption as agents of poverty reduction before an audience composed of finance ministers, central bankers and country representatives. INTEGRITY SUMMIT >>> CORRUPTON KEEPS PHL ECONOMY FROM GROWING, BUSINESS LEADERS SAY: Widespread corruption, not only in government but also in the business sector, is a stumbling block that keeps the economy from growing, business leaders and analysts said at the 1st Integrity Summit Wednesday. 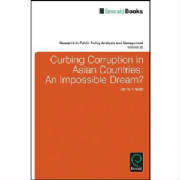 In particular, small and medium businesses (SMB) suffer the repercussions of corruption practiced by large enterprises and make them unable to compete, said World Bank governance specialist Joel Turkewitz. One of the choppers previously owned by the former First Gentleman Jose Miguel Arroyo was used to fly a former Islamic court judge to different places in Mindanao to ensure the victory of his wife, former President Gloria Macapagal-Arroyo, in the 2004 elections. Nagamura Moner, a former Shari'a court judge, revealed this on Tuesday during the Senate Blue Ribbon Committee's investigation on the Philippine National Polices (PNP) purchase of choppers previously owned allegedly by the former First Gentleman. Moner told senators he received a call from former Philippine Ports Authority General Manager Alfonso Cusi on May 13, 2004 - or three days after the elections - asking him to go to certain places in Mindanao where Arroyo was losing against Fernando Poe Jr. (FPJ) in the municipal canvassing. He said Cusi instructed him to find contacts...to change election results in favor of Mrs. Arroyo. "The instruction was to find contacts with the election officers [and] pay them off if necessary just to make Gloria Macapagal-Arroyo win on those areas," Moner said. The failure of congressional leaders to carry out the e-District project will cost taxpayers P262 million in communication expenses for the House of Representatives this year and next, documents show. The e-District project, which started during the 14th Congress, was supposed to be completed during the current Congress, but an Internet telephony system that was part of the P71.6-million projectmost of which has been fully paidwas never set up by the supplier, Advance Solutions Inc.
Palace downplays "warnings" vs removing witnesses from protection program: Malacañang over the weekend downplayed reported warnings by an anti-crime group that removing some witnesses from the government's witness protection program may discourage witnesses from blowing the whistle on crimes and cases of corruption. Deputy presidential spokesperson Abigail Valte said the government has already expanded the witness protection program to include whistleblowers against graft cases...Valte was replying to reported calls by the Volunteers Against Crime and Corruption to go slow in removing witnesses like former police Superintendent Cezar Mancao II and Mary Rosebud" Ong from the witness protection program. The Commission on Audit (CoA) has scolded the Department of Tourism (DoT) for shouldering the foreign travel expenses of congressmen and senators, saying that the expenditures appear to be unnecessary. CoA questioned the propriety of the DoT policy to shoulder the expenses of legislators who were included in the agency's delegation sent to various foreign missions from February 24 to July 5, 2010. In the 2010 annual audit report prepared by state auditors, CoA disclosed that the DoT spent nearly P5 million for the travel expenses to ten exhibits, and fairs in various countries. Of the said amount, P1,900,795.03 was spent on air fares and P3,097,874.71 went to daily subsistence allowances. 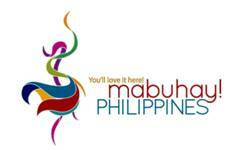 Auditors said 46 congressmen and five senators attended various tourism-related events merely as observers. SOLON ACCUSES SHELL OF SMUGGLING, CALLS FOR INQUIRY: A congresswoman today accused Pilipinas Shell of "unabated smuggling activities" and tax evasion. Zambales Rep. Maria Milagros Magsaysay made the accusation as she urged the House of Representatives' committee on ways and means to investigate the oil company... Magsaysay said the government stands to lose several billions of pesos in uncollected taxes, and these indicate that certain government officials may have given undue advantage to smugglers. HOUSE GAVE OVERPRICED LAPTOPS TO CONGRESSMEN: Notebook computers that should have cost P24,000 each came out to P150,000 apiece in unfinished P75-million E-District deal Five hundred laptops that Speaker Feliciano Belmonte Jr. handed out to 250 congressmen last Christmas cost taxpayers P75 million, or P150,000 per unit, documents obtained by the Manila Standard Wednesday showed...The HP laptops were part of the E-District project initiated during the previous Congress and were supposed to allow districts to call and communicate with their representatives in the House for free through the Internet as a way of saving on communications costs. But the House under Belmonte did not carry out the VOIP portion of the deal, leaving lawmakers with "overpriced" notebooks that should have cost less than P30,000 each. LAPTOPS FOR LAWMAKERS DEFENDED: House accounts committee chairman denied there was anything wrong in the distribution of laptop computers to congressmen. He also maintained there was nothing overpriced and that everything was in order with regard to the laptops. He said the laptops were purchased by the 14th Congress in 2009, acquired in February 2010, and distributed last December 2010. He stressed the transaction underwent and hurdled auditing procedures. FROM GULF NEWS DUBAI: Pesos-for-papers con >>> Filipinos say they feel helpless against extortionist gangs allegedly working hand in glove with airport officials back home...a Filipina nurse shelled out 25,000 pesos to agents of the Bureau of Immigration (BI) in Ninoy Aquino International Airport so she could fly back to Dubai on a visit visa. Money changed hands outside the airport and she was told to join a queue at a passport counter whose staff did not ask her any questions...All passengers on visit visas from Manila to Dubai who boarded the Cathay Pacific flight at 6pm that day via Hong Kong paid grease money, she said. SIXTH PLUNDER COMPLAINT FILED AGAINST EX-PRESIDENT: Another plunder complaint was filed on Thursday against former President and incumbent Pampanga Rep. Gloria Macapagal-Arroyo, this time for the botched national broadband network (NBN) deal with China's ZTE Corp. that the Philippine government entered into during her administration. Bayan Muna party-list Rep. Teodoro Casiño, Bayan chairperson Carol Araullo, and former Gabriela women's party-list Rep. Lisa Maza filed the case before the Office of the Ombudsman...This is the sixth plunder complaint against Mrs. Arroyo since she left the presidency in June 2010. It is also the second time the former president was slapped with plunder raps under new Ombudsman Conchita Carpio-Morales. Mrs. Arroyo's legal spokesperson, dismissed the plunder complaint as another act of "persecution" towards the former President, insisting that his client never benefited from the deal. EX-FIRST GENTLEMAN: WHAT PLUNDER? >>> "We are being accused of plunder in the ZTE contract but the public should be reminded that it was cancelled by the former President before it could be implemented. Since it was cancelled, there was no injury to the government. There was also no personal gain whatsoever. So where is plunder there? " Ombudsman Conchita Carpio-Morales will present this month a roadmap setting the anti-graft agency's programs and policies that would help fight graft and corruption in government for the next seven years. Assistant Ombudsman Asryman Rafanan, the Ombudsman's spokesman, said Morales, a retired Supreme Court associate justice, would finally reveal her plans by the end of the month. Rafanan said...Morales called for a review of all existing programs and policies at the Office of the Ombudsman during her first two months in office. He said strategic planning workshops, meetings, briefings, and consultations have been conducted in the past weeks to formulate concrete plans, which would determine how the fight against graft and corruption will be carried out. INTEGRITY INITIATIVE GAINS GROUND: AQUINO SCHEDULED TO SIGN UP >>> Nearly 650 private firms and business groups have signed up for the Integrity Pledge initiative, giving the private sector-led campaign a large pool of participants for a certification system aimed at curbing corruption...As part of the initiative, the First Integrity Summit has been scheduled for Sept. 14 at the Mariott Hotel in Manila. Mr. Aquino is expected to add his signature during the event, which has the theme "Cultivating a Culture of Integrity"
HOUSE MINORITY LEADER: Former President and now Pampanga Rep. Gloria Macapagal-Arroyo has agreed to share portions of her pork barrel funds with her colleagues in the opposition bloc who have yet to receive their congressional allocations since the 15th Congress opened last year...some opposition lawmakers are now "succumbing to the pressure tactics of Malacañang" to withhold their Priority Development Assistance Fund (PDAF) to further decimate the ranks of the 30-member minority bloc. "PLUNDER COPS" STAY IN POSTS: Active police officials charged with plunder stemming from the controversial purchase of second-hand helicopters will remain in their posts while awaiting action of the Office of the Ombudsman on the case. While he has the power to recommend the relief of those charged, Director General Raul Bacalzo, outgoing chief of the Philippine National Police (PNP), said he opted to wait for the action of the Ombudsman in connection with the case filed last week against the police officers. SOLON: GMA HAD P488 BILLION IN PORK >>> Rep. Neri Colmenares of the party-list group Bayan Muna claimed yesterday that former President and now Pampanga Rep. Gloria Macapagal-Arroyo saved a total of P488 billion during her nine-year rule and converted the funds into her "personal pork barrel." Colmenares said he arrived at the figure by going over the Arroyo budgets and the amounts of savings agencies reported. "The total amount of supposed savings by the entire government during the Arroyo years was P769 billion, of which P488 billion came from the Office of the President and executive departments," he said. "Despite the extreme economic hardships, President Arroyo submitted bloated budgets, the last of which was P1.5 trillion for 2010, but at the same time claimed huge amounts of overall savings every year," he said. He added that under government practice, the President is allowed to realign savings and use them for her or his pet projects. "What makes the savings of President Arroyo more suspicious is that while many of her departments reported savings for the year in the billions, they also asked for additional funding also in the billions"
2,150 WIDOWS OF GHOSTS RECEIVED PENSIONS: PNP holds pension checks of 2,150 widows of "ghost" retirees, part of a syndicate that has defrauded the PNP of some P1 billion in retiree pensions over the last five years. PNP spokesperson Chief Superintendent Agrimero Cruz Jr. said the 2,150 pensioners had claimed to be the spouses of deceased police retirees...The PNP said the alleged syndicate ringleader...had uploaded the names of fake pensioners in the database of the PNP Retirement and Benefits Administration Service (PRBS)...He was able to encode fraudulent entries into the pensioners' database when he was assigned to the Directorate for Personnel and Records Management (DPRM) until he was dismissed from the service in 2008... investigators so far found his handwriting on 530 suspected falsified index card records of pensioner accounts...identified and deleted more than 1,000 falsified entries encoded in the pensioners' database...the syndicate used several handlers who recruited women who passed themselves off as widows of deceased police retirees. COA: SEC OFFICIALS LIABLE FOR FUND MISUSE >>> Officials of the Securities and Exchange Commission (SEC) could be held liable for the misuse of its funds for maintenance and other operating expenses last year. In a report by the Commission on Audit (CoA), the SEC was found to have wrongly spent P83.2 million for its medical benefits. The amount was part of its P100 million allocation for maintenance and other operating expenses and capital outlay. CoA also said the SEC violated CoA resolution which prohibits the procurement of health care insurance from private companies. Bayan Muna Representative Teodoro Casiño said former officials of the DOTC led by then Secretary Leandro Mendoza could face plunder charges for the department's allegedly irregular purchase of P1.15 billion worth of marine environmental equipment and lighthouse spare parts in 2007. The Philippine National Police is expected to file criminal charges over what it claimed were irregularities in the purchase of rubber boats in 2009 and the repair of V-150 armored personnel carriers in 2007. The Criminal Investigation and Detection Group (CIDG) team tasked to probe the P131.5-million rubber boat transaction will submit its report this week, which is expected to recommend the filing of criminal charges against suppliers and police officials linked to the alleged anomaly. The plunder complaint lodged against former First Gentleman Jose Miguel Arroyo and 17 others stemming from the P105-million helicopters deal with the Philippine National Police (PNP) in 2009 should boost the administration's push for accountability, Malacañang said over the weekend. 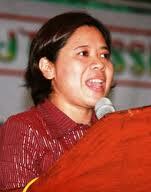 Deputy presidential spokesperson Abigail Valte said, "We hope this will strengthen our drive for accountability. We have seen during the investigation that there were questions they [those accused] could not answer, and we have seen instances where their replies were contradictory,"
EX-FIRST GENTLEMAN, PNP EXECS FACE PLUNDER RAPS: The Philippine National Police filed plunder charges against former First Gentleman Jose Miguel Arroyo, former PNP chief retired Director General Jesus Versoza, and 13 others in connection with the purchase by the PNP in 2009 of two Robinsons R44 Raven 1 helicopters. 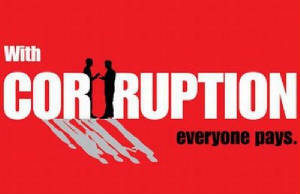 Ten others were charged with graft. Director Samuel Pagdilao Jr., CIDG director, said the charges were filed by the Criminal Investigation and Detection Group (CIDG) before the Office of the Ombudsman upon the approval of PNP Chief Director General Raul M. Bacalzo. Pagdilao said investigation on the circumstances surrounding the procurement of the helicopters showed that the transaction was laden with irregularities as "the specification issued by the PNP then was tailored-fit to qualify no other helicopter except the Raven 1 of MAPTRA". Two of the helicopters were passed off as brand new, but as it turned out the two Robinsons R44 Raven 1 helicopters are second hand and are said to be owned by the former First Gentleman. MEDIA PLAYS BIG PART IN STOPPING, PREVENTING CRIMES: Commission on Human Rights (CHR) Chairman Loretta Ann Rosales said that media significantly play an important role in stopping crime and corruption, particularly in bringing these anomalies public. During the Communication and News Exchange (CNEX) Forum held at the Philippine Information Agency (PIA), Rosales underscored media's power to expose government anomalies. Rosales said that under media's watchful eye, corruption in government is minimized if not stopped, and unscrupulous officials are deterred into committing unlawful acts. MORE GHOSTS: 36 PNP officers and personnel, 6 suppliers face criminal charges for collusion in the 2007 P409.7-M "ghost" repair and refurbishing of 28 PNP V-150s: all the police officers and civilians involved appeared to have colluded in violating the Government Procurement Act of 2002 (RA 9184) and could have, subsequently, committed graft and corruption in violation of Republic Act 3019. Interior and Local Government Secretary says "In the process of violating RA 9184 and the Accounting Rules and Regulations, many of the concerned PNP officers and suppliers committed falsification of documents, usurpation of authority and technical malversation. This could not have happened if there was no collusion between and amongst the bidders and the PNP personnel involved"
The administration's measures against corruption and poverty are being felt by Filipinos, Malacañang said in reaction to the most recent Pulse Asia survey showing improvements in President Aquino's approval and trust ratings. ASSOCIATED PRESS: Philippine officials say President Benigno Aquino III's administration will file at least two major corruption complaints against his predecessor, possibly before year's end. President Benigno Aquino III has authorized Finance Secretary Cesar Purisima to open the tax records of suspected tax cheats upon the request of the countries with whom the Philippines has existing tax-related agreements. SMUGGLING CHARGES filed against Jetti Petroleum, Inc. at the Department of Justice (DoJ), sixth case of the Bureau of Customs (BoC) against an oil firm in just a little more than a year. Fighting graft is fine but a drag on growth... government must sustain its drive against corruption, losses from which are placed at P300 billion this year or about 20 percent of the national budget, minus debt service and normal operations. But the anti-corruption drive might be slowing the economy down, as efforts to clean contracts have resulted in underspending on the part of the government. Bohol province is the best performing local government unit (LGUs) in the country, the Department of Interior and Local Government (DILG) announced today citing results of its 2010 performance survey. Although country needs nationwide broadband network, President says he will not allow revival of controversial multi-million dollar "NBN-ZTE deal"
Senate to investigate Development Bank of the Philippines' questionable loan transaction with businessman involving P660 million in depositors' money.